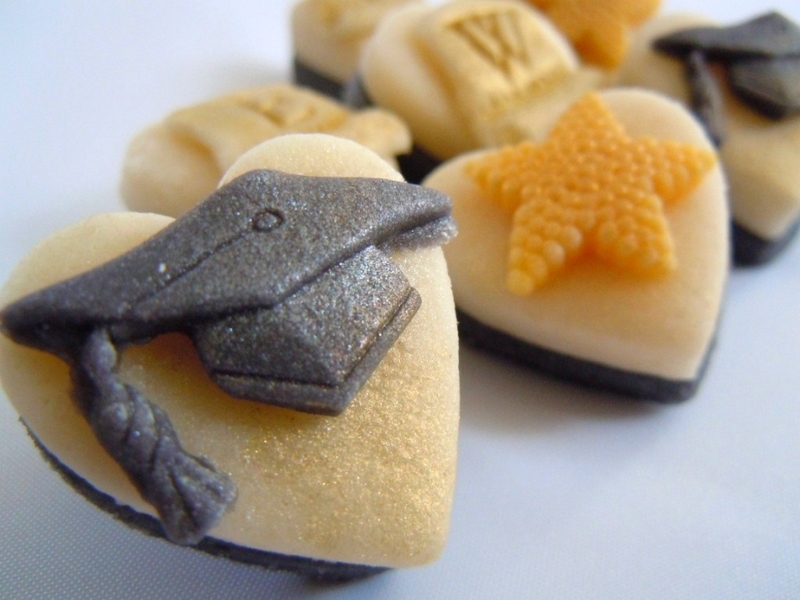 Send congratulations to a new graduate or school leaver with this delightful box of marzipan mortar boards and gold stars. 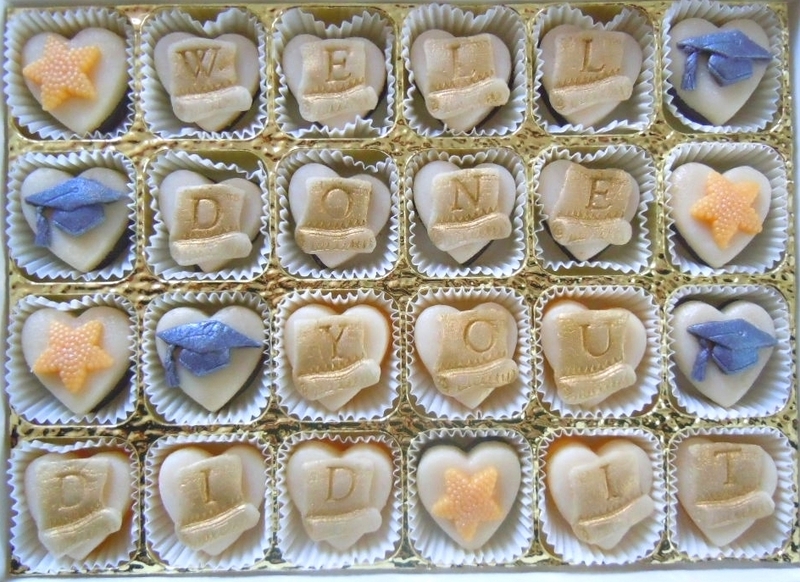 Tiny scrolls dusted with gold lustre spell out the message "WELL DONE" or "YOU DID IT". 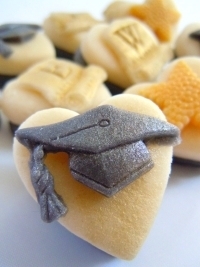 A tasty treat for a rising star! To add a different message, select the option for "My own message" and write it into the free text box provided. Selected "MY OWN MESSAGE"? Enter it here but PLEASE remember that the MESSAGE MUST FIT THE SIZE OF BOX SELECTED- check the Marzigram Guide page for help.